ClearlyFiltered Clean Water Pitcher Even Makes My Cruddy Water Taste Good! I received a ClearlyFiltered Clean Water Pitcher to facilitate this review. All opinions are my own. I have the worlds worst water. Okay, maybe not the worst in the whole world, as I know there are many who don’t even have any clean drinking water, but I’d say it’s among the nastiest tasting in the developed nations. For reasons that I haven’t yet figured out, we have sulfur water. You know, the stuff that smells and tastes like rotten eggs? Great, right? We had no idea until after we moved in. Now, I know that technically sulfur water isn’t harmful to drink, but I’d rather eat beets than drink that stuff. I hate beets. The smell of it as a glass goes towards my mouth just makes me gag. Bottom line: to me, it’s NOT drinkable. So what do I do? Spend a fortune on bottled water, that’s what. I have high expectations out of a water filter and pitcher. While most people are just trying to filter out impurities and weird, government control mechanisms like fluoride (I’m kind of kidding, maybe, I’m not sure if that conspiracy theory is true! ), I expect it to also filter out the sulfur taste. Not many water filters have pulled it off. 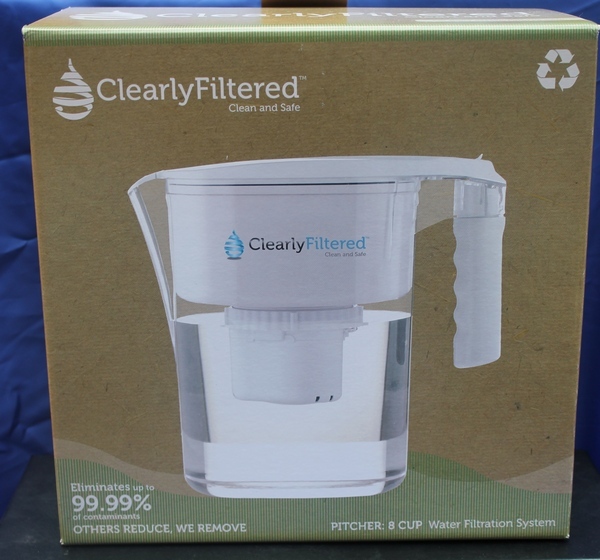 In fact, ClearlyFiltered Clean Water Pitcher is only the second filter I’ve ever found that works. Let’s break down the savings over bottled water, shall we? I spend between $0.35 and $0.99 cents on a gallon of bottled water. The low end is from a machine outside the grocery store. The ClearlyFiltered Clean Water Pitcher costs about $70. 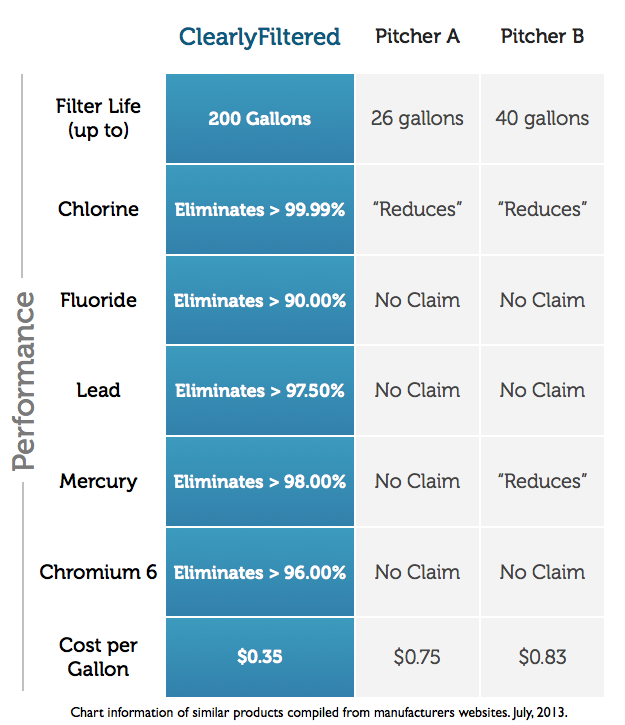 You get 200 gallons of clean water from each filter. That’s $0.35 cents per gallon, or what I’d pay for the cheapest clean water in my area. Now, here’s the thing. After those 200 gallons, you’ll need to replace your filter. That will cost you $44.95. So your next 200 gallons will cost you about $0.23 (I rounded up, it’s actually $0.22475). That’s $24 savings on every 200 gallons! Considering that I go through at least 6 gallons a week, that adds up incredibly fast! Just look at all the stuff it eliminates or drastically reduces! With 90% reduction in Fluoride, at least if the conspiracy theories are true, the government can only control 10% of my brain! Honestly, though, the fact that I don’t have to suffer if I run out of bottled water is enough to make me love the Clean Water Pitcher. Plus, I’m much more likely to drink water now that I know it isn’t costing me as much! That’s good for my health, right? 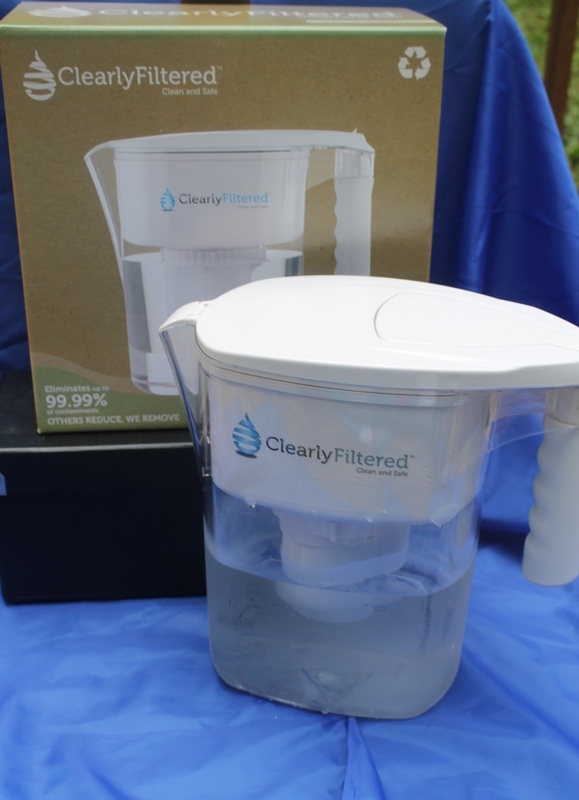 Visit ClearlyFiltered to learn more about the Clean Water Pitcher and their other products. Follow on Facebook and Twitter to keep up with news. I have been trying to win this incredible Water pitcher on blogs. But it does not cost that much money and I would love to own this pitcher so I know my water is filtered and clean. I hope you win it somewhere! When you factor in how much it saves over bottled water, it’s definitely worth it! My sister lives where the water is awful. I don’t know which pitcher she uses but I’ll tell her about this one. She’ll love it! I was so impressed that it took out the sulfur taste.